The news-makers in the Pakistani film industry over the past 12 months. The year is almost over, and there is no doubt the ‘revival’ of Pakistani cinema continued in 2018. It would even be fair to say the so-called revival phase is over and the industry has stabilised to a degree. It should only go up from here, as our filmmakers have now understood the basic needs of the modern cinema going audience. While production values, music and the film treatments have significantly improved, the stories remain the weak link. However, this is a problem with most large-scale films, even across the border. Yes, there are still some black sheep insisting on making poor films and drowning our cinema again, but that number has grown to be fairly limited. And no, this was not a sly dig at the makers of 7 Din Mohabbat In (7DMI) or Maan Jao Na. This year saw a good mix of mainstream commercial ‘masala’ cinema with experimental and unique storytelling. Amidst all the chaos, there was some method to the madness. In other words, it was not like the Pakistan cricket team. In this article, we will have a look at the news-makers in the Pakistani film industry over the past 12 months. Arguably the biggest film produced by Pakistan, and also its most awaited one, was Teefa in Trouble. It was a movie of firsts; the directorial debut for Ahsan Rahim, the first film for cinematographer Zain Haleem, the first film for actress Maya Ali, and the first Pakistani film for Ali Zafar. It took its time to complete and the producers took a gutsy step by not releasing it on a holiday. Teefa in Trouble lived up to its hype and turned out to be a technically sound, well made, all out entertainer. It was a master class in editing, while its brilliant cinematography, quirky humour and apt sound design were the strength of the movie. Veteran actors such as Mehmood Ali and Javed Sheikh stood out, whereas Maya had a reasonable debut. On top of it all was the excellent chemistry of the trio formed by Rahim, Faisal Qureshi and Zafar. It was evident the three of them had complete confidence in each other, which is why despite a recycled storyline, the film was a huge success and set even higher future expectations from Rahim and Zafar. Nabeel Qureshi’s track record has been nothing short of remarkable at a very young age. Along with Fizza Ali Meerza, Qureshi has created two instalments of Na Maloom Afraad and the very entertaining Actor in Law. This year they came together with Fahad Mustafa and Mehwish Hayat to present Load Wedding. Load Wedding is a good film. It has the cultural sensitivities of interior Punjab, Shani’s soulful music, good acting, satirical humour and most importantly, a couple of very strong social messages i.e. the nahoosat (bad luck) brought by a widow, and the load of dowry upon a girl’s family. Despite flaws in its execution, such as the Punjabi accents of non-Punjabi actors, it was still a very well-made film. However, it did not receive the success Qureshi’s previous films did, the main reason for which was a box office timing clash with Jawani Phir Nahi Ani 2 (JPNA 2) and Parwaaz Hai Junoon (PHJ), both of which released on the same day. After all, a Pakistani couple was not going to spend Rs6,000 on three films in three weeks. Ultimately, the audience chose the higher entertainment value of JPNA 2 and the more glamorised cast of PHJ over Load Wedding, which went under the radar despite being the best of the three Eid releases. June was the month of Eid, and one would expect major films to come out during the occasion. Although we saw a flood of releases on Eid this year too, all of them left the audience high and dry. The biggest disappointment, which was expected after seeing its trailer, was 7DMI. The first venture in films for its producers, 7DMI was a loss-making venture from a financial view point and a painful venture from the audiences’ point of view. Despite being quite awful, it was still not the worst film of the weekend. It was accompanied by two other duds in Wajood and Na Band Na Baraati. However, it was Azaadi which singlehandedly ruined Eid for the cinema going audience of the country. Terribly painful to watch, even for half-an-hour, Azaadi was infused with patriotism and devoid of any story, acting or direction. It made it worse to hear this was allegedly produced at tax payers’ expense. A film I have already praised wholeheartedly in an earlier review is Cake. You wouldn’t have expected first-time director Asim Abbasi to create the sensitive piece of art that he did through this movie, which is now Pakistan’s official entry for the 2019 Oscars. It even generated decent box office collections for a semi parallel artsy genre without any mega film stars. Cake is exquisitely crafted, beautifully written, purposefully directed and sensitively acted. It should have garnered a lot more than the credit and praise it received; however, being the official entry to the Oscars is definitely a cherry on the cake. The animated movie of the year is undoubtedly The Donkey King. There was definitely stiff competition, as both Allahyar and the Legend of Markhor and 3 Bahadur were good animated films. This genre is still relatively unexplored for Pakistani audiences, as it requires a lot of commitment and effort. The Donkey King, a film as much for adults as it was for the kids, was a brilliant political satire. It spoke of a world where cops are turtles, the media is run by monkeys and political advisors are foxes. And let’s not forget the presence of a grand circus master trying to control everyone! 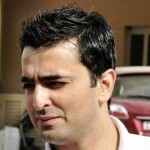 Aziz Jindani, having proven his mettle in the corporate world over the years, has done remarkably well in his debut venture in the world of films. 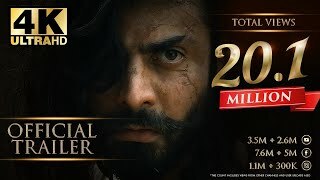 In 2018, JPNA 2 became the highest grossing Pakistani film in history. Making more than Rs60 crores, JPNA 2 set new benchmarks for Pakistani cinema. It is also encouraging to see that a Pakistani film with a high budget (said to be in the range of Rs25 crores) can actually be profitable for the producers and distributors. Even though I personally don’t buy the content of the JPNA franchise, it is quite obvious that Nadeem Baig and Humayun Saeed have figured out the formula of entertaining Pakistani audiences and becoming commercially successful. As the year draws to a close, there are some big projects in the pipeline for 2019. Saqib Malik’s long-awaited debut Baaji is highly anticipated, while Asim Raza is coming back with Paray Hut Love. Shaan’s Zarrar promises to be a high-octane spy thriller, but the biggest of them all could be Fawad Khan’s first Pakistani film in years – Maula Jatt. 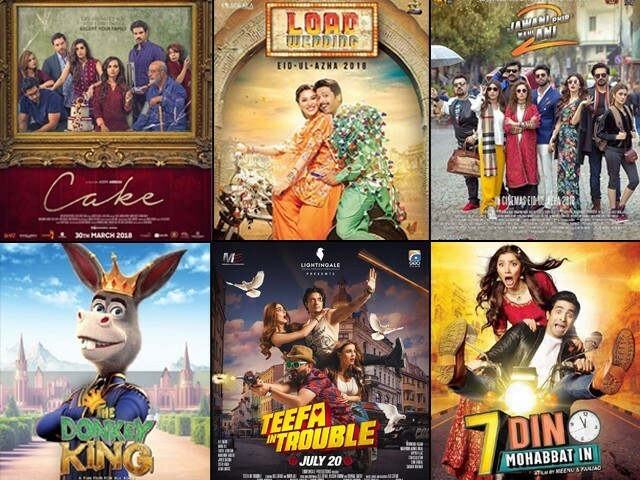 Here’s hoping these will all be fantastic films for 2019, and we will finally see the first Pakistani film to cross Rs100 crores!